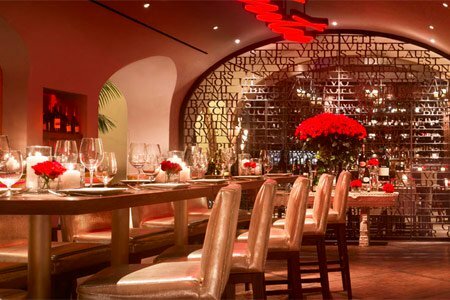 Many restaurants in Las Vegas will be offering special menus for Valentine’s Day, but we’ve rounded up the best of the best. 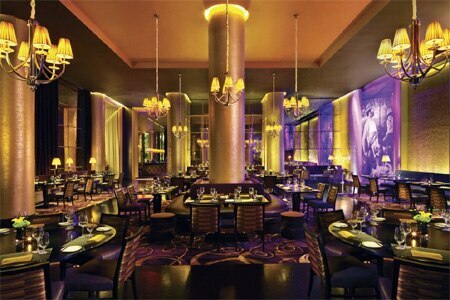 Celebrate with your sweetie at one of GAYOT’s Best Valentine’s Day Restaurants in Las Vegas. 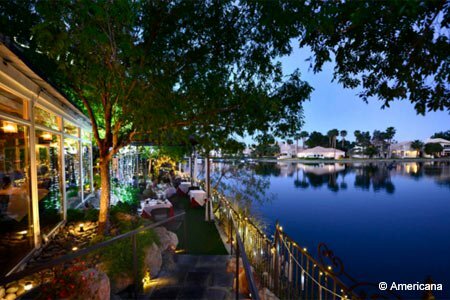 Americana , overlooking the picturesque Lake Jacqueline, will present a multi-course Valentine’s Day menu ($125 per person) featuring a Surf & Turf dish of Madagascar prawn, dry-aged Australian Wagyu and truffle reduction. 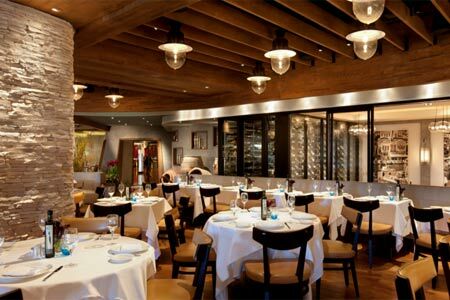 Andiron Steak & Sea kicks off its special Valentine’s Day menu ($79 per person) with a smoked salmon rillettes cone and follows it with numerous appetizer, entrée and dessert options, among them grilled filet of beef and baked Alaska for two. 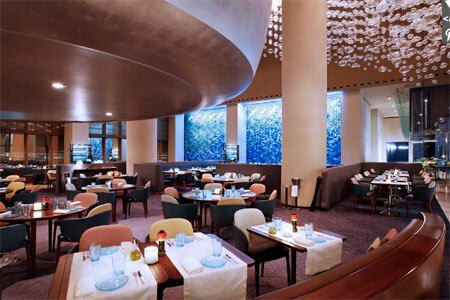 On Valentine’s Day, admire Aureole’s 50-foot glass-and-steel wine tower as you dine on dishes such as Muscovy duck leg confit ravioli, seared Maine diver scallops, and the Trio of Hearts (passion fruit, dark chocolate and raspberry, shared for two). The special menu is priced at $85 per person. West Coast oysters, steak frites au poivre and a heart-shaped macaron (French raspberry cookie and white chocolate mousse) are a few of the offerings on the Valentine’s Day menu ($75 per person) at Michael Mina’s take on a French brasserie at Aria Resort & Casino. Mary Sue Milliken and Susan Feniger’s Las Vegas strip restaurant celebrates Valentine’s Day with a menu (priced à la carte) that ranges from a Mexican truffle tostada ($22) to vegan chile en nogada ($29), and chocolate fondue for two ($18). 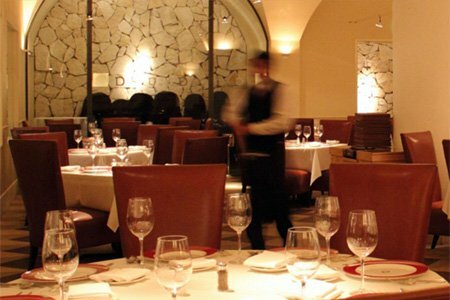 Bouchon restaurant, located atop The Venetian’s Venezia Tower on the Strip, will offer a special Valentine’s Day menu ($95 per person, $55 for wine pairing). 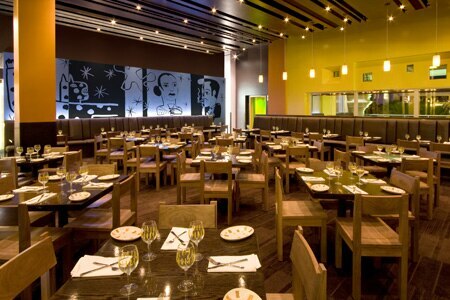 Choose from dishes such as big eye tuna tartare, roasted chicken and gâteau au chocolat. 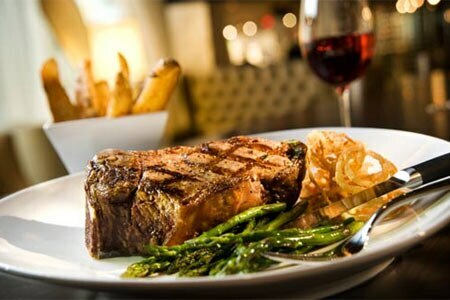 Charlie Palmer Steak at Four Seasons Hotel Las Vegas will offer a special shareable three-course menu for two ($125 per person) for Valentine’s Day. 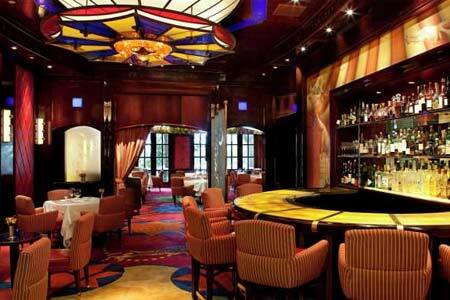 This elegant restaurant boasts spacious, warm ochre-toned dining rooms that are designed for comfort, done up in mahogany panels and intimate archways. 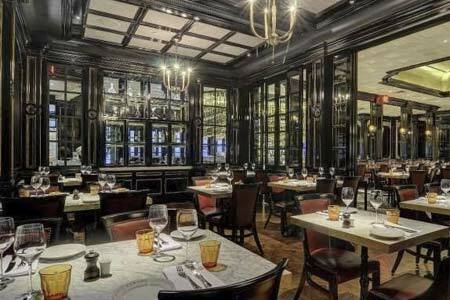 Delmonico Steakhouse at The Venetian will offer a Valentine’s Day menu of à la carte specials, among them braised veal cheeks with black truffle risotto ($60) and Venezuelan chocolate mousse and berry coulis ($12). 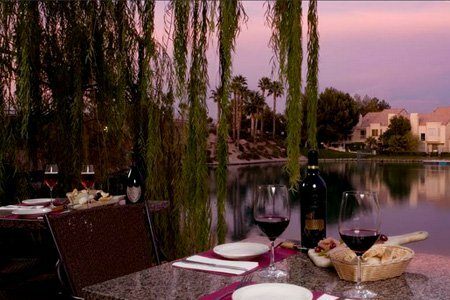 Don Vito’s is a secluded enclave to enjoy a special three-course Valentine’s meal that includes a bottle of the “Wine of the Month” for every two people ($45 per person). Beef medallion stuffed with shrimp and lobster can precede vanilla bean mousse with chocolate dipped strawberries. 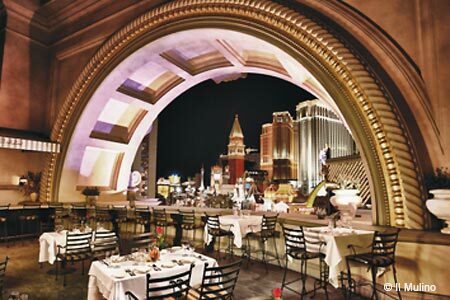 Eiffel Tower restaurant at Paris Las Vegas boasts an unobstructed view of the Strip, including Bellagio’s dancing fountains across the street. On Valentine’s Day, enjoy a prix-fixe menu at one of three seatings: 4 p.m.-4:45 p.m. ($125 per person); 5 p.m.-9:45 p.m. Gala dinner ($195 per person); 10 p.m.-10:45 p.m. ($125 per person). 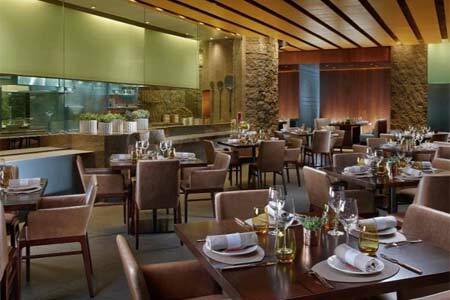 Estiatorio Milos , offering simple, yet elegant, flavorful Greek cuisine at The Cosmopolitan, celebrates Valentine’s Day with a special five-course prix-fixe menu ($109). 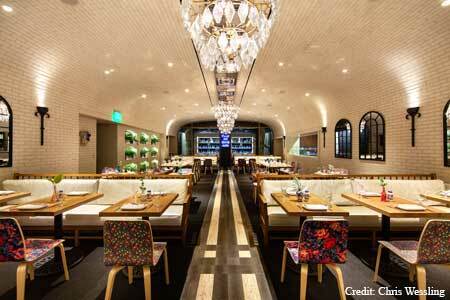 Expect fresh oysters, lobster pasta for two, lamb chops and more. 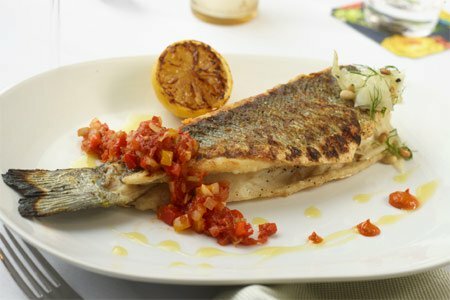 Greek Sneek at MGM Grand, with its crystal chandeliers and ceiling inlaid with Corinthian tile designs, will recognize Valentine’s Day by offering a special dinner ($42): whole salt-crusted Mediterranean sea bream, lemon potatoes and caper butter. Harvest by Roy Ellamar at Bellagio highlights local and regional ingredients in its American cuisine. Farmer’s Salad will kick off the Valentine’s Day menu ($80 per person, wine pairing $35 per person) followed by Surf & Turf (petit filet mignon and Dungeness crab-stuffed half lobster), and finally, strawberry shortcake for two. 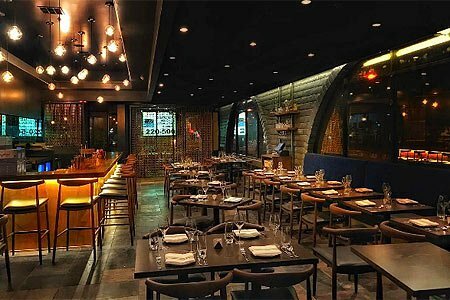 Hawthorn Grill at JW Marriott has floor-to-ceiling windows and the main dining room exudes a classy feel with chandeliers and plush banquettes and cozy semi-private booths furnished with pillows. 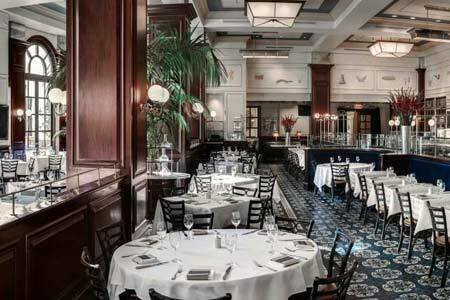 Among the dishes on the Valentine’s Day prix-fixe menu ($85 per person) are cauliflower soup with pear, and a six-ounce Prime filet and crab-stuffed freshwater prawns. Forum Shops at Caesars is home to Italian restaurant Il Mulino, which will offer ravioli ai porcini with Champagne truffle cream sauce, wild Atlantic salmon, and strawberries with zabaglione, among other options, on its Valentine’s menu ($95 per person). 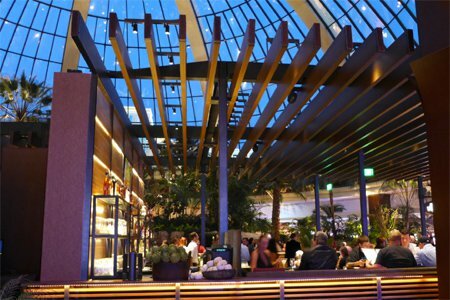 Nestled within Wynn Las Vegas, La Cave Wine & Food Hideaway accommodates Valentine’s Day guests with a dinner comprised of Australian Wagyu strip loin, baby artichokes and balsamic maitake mushrooms ($32). 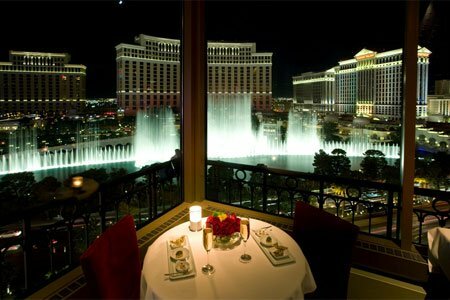 Le Cirque at Bellagio offers sophisticated, contemporary cuisine with views of Lake Bellagio and its water-and-light show. The Valentine’s Day menu ($165 per person) will include dishes such as risotto with Maine lobster and Parmesan emulsion, and potato-crusted Mediterranean sea bass with leeks and Pinot Noir verjus. 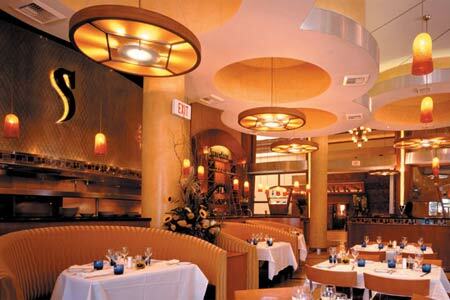 Marché Bacchus will offer a four-course menu ($98 per person) that includes a glass of Champagne on Valentine’s Day. Among the holiday dishes are tomato and shrimp bisque; and filet mignon, orange and carrot cream, and potato gnocchi. 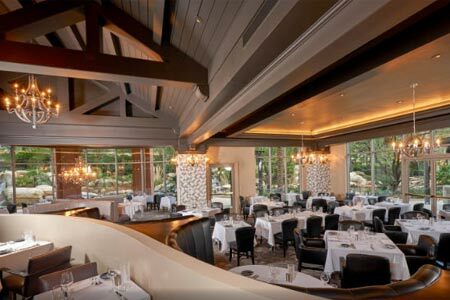 Morels French Steakhouse & Bistro ’s Valentine’s Day menu ($130 per person, sommelier wine pairing additional $60 per person) kicks off with a pan-seared diver sea scallop amuse-bouche and ends with a Morels Heart Macaron with strawberry mascarpone filling. 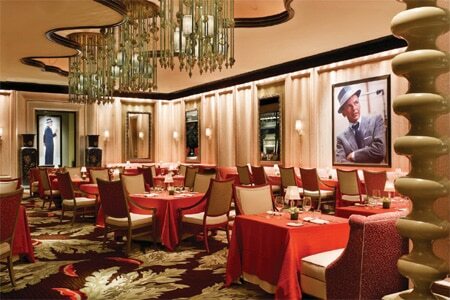 Celebrate Valentine’s Day at Oscar’s Steakhouse at Plaza Hotel & Casino. On February 14, a special three-course dinner will be offered ($70 per person or with an optional wine pairing $103 per person). Choose from dishes like tuna tartare; filet mignon and lobster tail; and a trio of chocolate mousse. 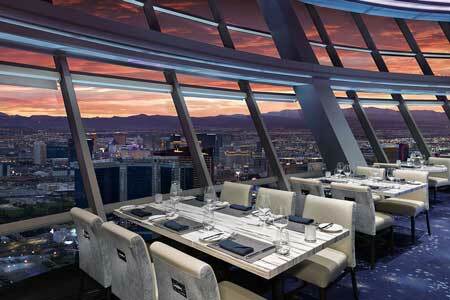 Take in incredible views of the Las Vegas Strip from Rivea on the 64th floor of the Delano Las Vegas hotel. On Valentine’s Day, the multi-course menu ($120 per person) will present roasted Maine lobster with purple artichokes, “Heart to Share” for dessert and more. 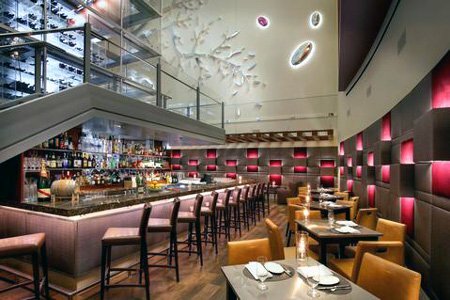 A Grand Tasting Menu ($145) with day boat Maine scallop and dark chocolate panna cotta, among other dishes, awaits Valentine’s Day guests at Aria’s Sage restaurant. Dip into the Cupid’s Cup (vanilla mousse, poached rhubarb and vanilla ice cream) this Valentine’s Day at Silverado Steak House, which will offer a three-course menu for the holiday ($59 per person). 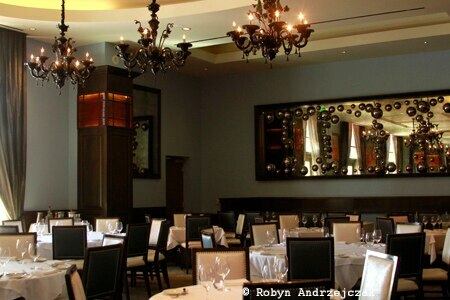 Precede it with the likes of pan-seared lobster medallions and black pepper-crusted filet mignon, among other choices. 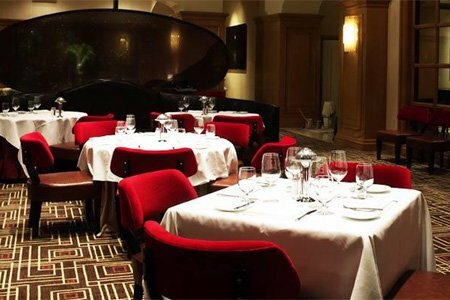 The four-course prix-fixe “My Funny Valentine” menu at Sinatra ($145 per person) will feature dishes like truffle risotto and a “filetto” with beef tenderloin, trumpet mushrooms and Amarone wine sauce. Located in Las Vegas’ Chinatown, Sparrow + Wolf boasts a walnut bar lit by varied-height pendants, crushed blue velvet upholstered banquettes and a semi-open kitchen. On February 14, the restaurant will offer a special Valentine’s Day menu ($160) with dishes ranging from classic risotto with Grana Padano and chicken jus to pan-fried Dover sole, and chocolate devil cake, lapsang souchong ganache and cashew praline. Additional $80 for wine pairing. Lobster bisque, pan-seared veal loin “Amore” with pappardelle and vegetables, and tiramisu are a few of the temptations on the Valentine’s Day menu ($45 per person) at Spiedini. Share a chocolate fondue for two ($24) featuring brownies, strawberries, cookies and cheesecake this Valentine’s Day at Tom Colicchio’s Heritage Steak. 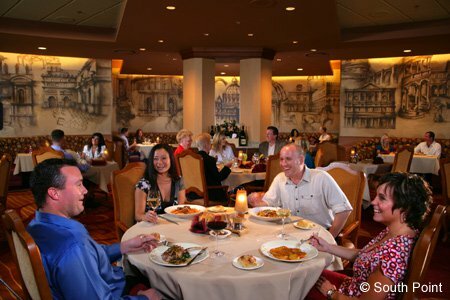 Holiday guests can also opt for butter-poached oysters ($24) and beef filet and seared scallops ($120). Revolving a full circle every 80 minutes, Top of The World offers a panorama of the Las Vegas Valley from its 106th-floor perch atop The STRAT’s soaring tower. A four-course tasting menu ($109++ per person) will be available on Valentine’s Day with options such as a king cut rib-eye with lobster butter and truffle potato purée. 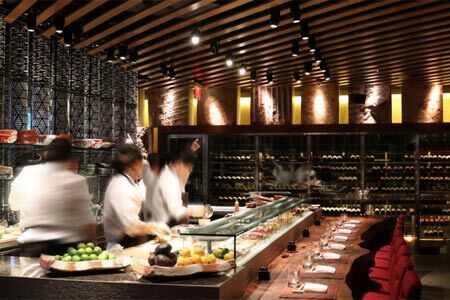 This contemporary Japanese restaurant on the 3rd floor of The Cosmopolitan will offer a truffle omakase menu on Valentine’s Day ($149). Toro tartare, rib-eye, and caramel milk chocolate mousse and coffee miso ice cream will be among the treats.